My current Bernina 1230 is my third sewing machine. It’s from 1989 and is, in fact, the newest model I’ve ever own. I’ve done many sewing mistakes in my life, including buying a crappy coverstitch/serger combo machine and keeping it way too long. 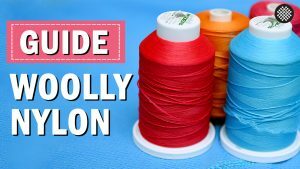 But when it comes to regular sewing machines I’ve intuitively known from the start that I will usually get way better value buying a used machine rather than paying the same amount for a new one. The great thing about sewing machines is that the technology changes very slowly, in fact, my computerised 30-year old Bernina has many features in common with newer high-end machines. 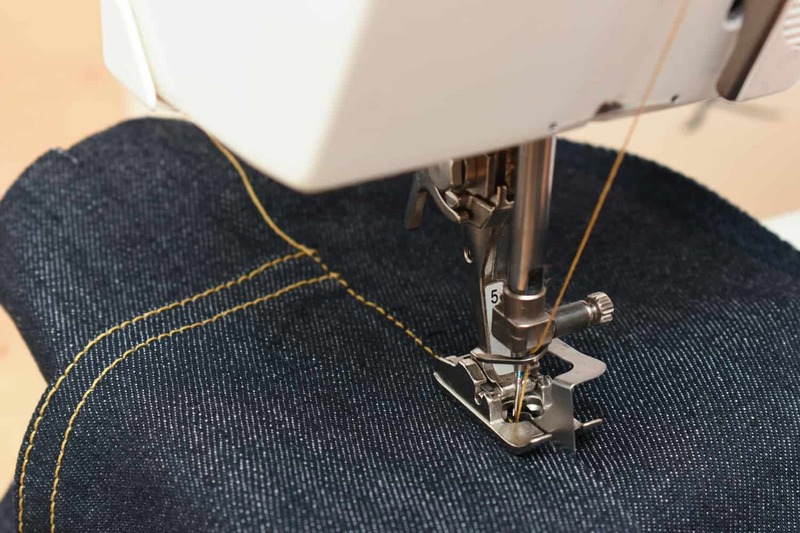 Such as automatic buttonholes, the ability to move the needle in five different positions, several stretch seams and a myriad of decorative stitches. Plus its sturdy cast-iron base makes it good for more heavy-duty sewing too. Vintage style self-portrait of me sewing in the 90s. Yes, I’ve been taking sewing selfies for over two decades, lol! I learned sewing on my mother’s vintage 60s Singer and even that machine could do most things modern sewing machines can do too. Then, as a 17-year old, I bought my first own machine. Needless to say, my budget was tight and the seller recommended a Husqvarna (Viking) 2000 from the early 70s as a great value for the money. I followed his advice and boy did I love that machine! It even had a myriad of stretch stitches, which made it possible for me to sew more knits. 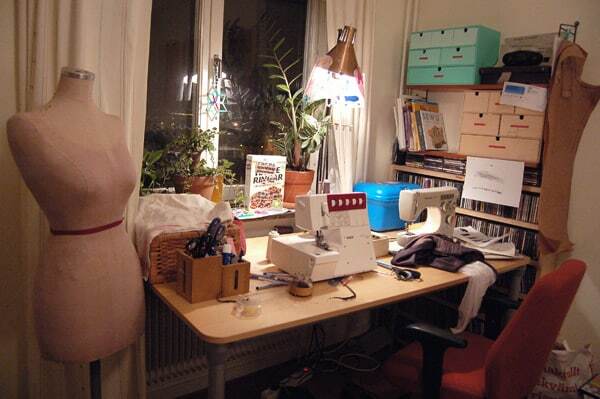 My old sewing area in 2008. My old Husqvarna 2000 is to the right. I loved that model so much that when the motor died I went out and bought an exact same model. 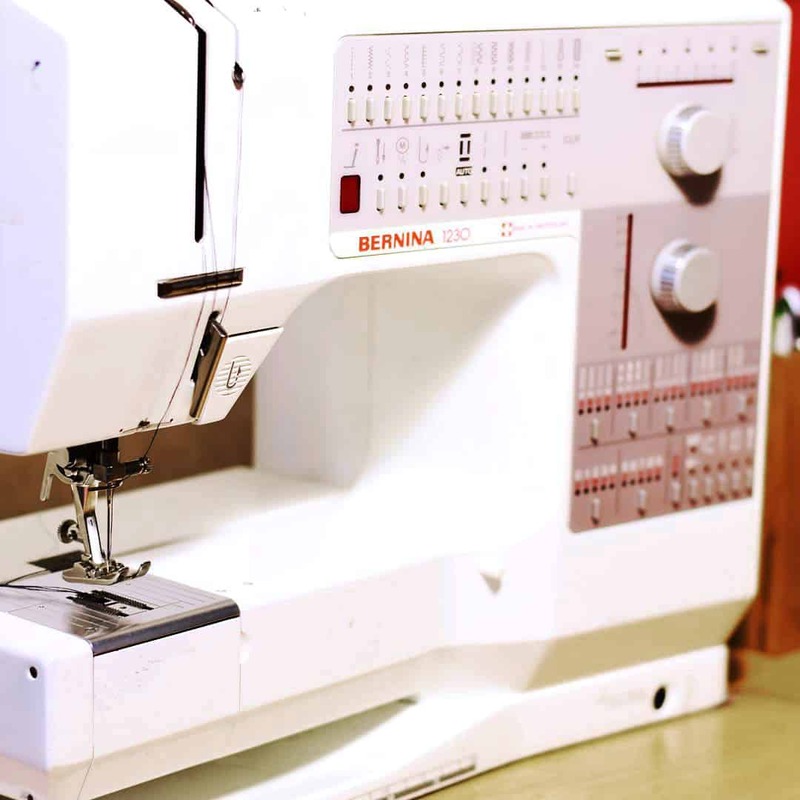 In total, I had the Husqvarna 2000 for about 20 years, until I felt ready to step up my sewing machine game, and was especially eager to get a machine that sews great buttonholes. I had heard that Bernina machines make great buttonholes, but that new one were very pricey. Luckily I managed to find my beloved Bernina 1230 at a sewing machine store for what I now know was a great price, and 10 years later I still am very happy with my purchase. I should also note that I’ve always bought my machines at proper sewing machine stores, which means that they are serviced and usually comes with a 6-month guarantee. So for me, buying a used machine as always felt like a low-risk endeavour. With that said, I think I would be more hesitant about buying a machine from a classified ad since I don’t love tinkering with machines myself. For someone who is just starting to sew and looking for sewing machine recommendations, I would never advise them to run out and buy a cheap sewing machine at a grocery store. To me that makes zero sense, from a quality, sustainability or financial perspective. I would much rather see them investing in an older machine that does basic stitches and then resell that one if they want to move on to fancier stuff. That was my little tribute to the value of used sewing machines! What are your thoughts on buying a new sewing machine vs getting a used model? Yes, second-hand is such a good option for sewing machines. 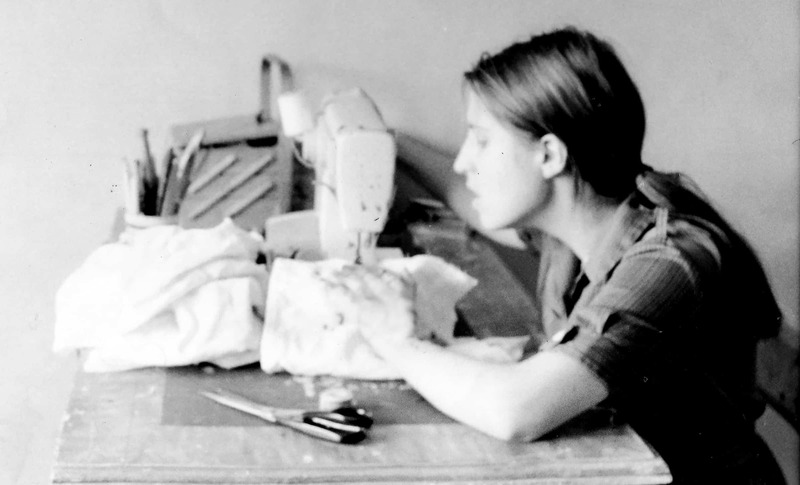 My first proper sewing machine was a second-hand one my parents bought me (a 1970s Husqvarna – possibly the same as yours!) and since then, I’ve only bought one sewing machine brand new. It was a Singer Simple and it was actually quite good, but I eventually realised I needed to invest in a better quality machine. I headed to a sewing machine shop with plans to buy a new Bernina, but the owner wasn’t that keen on the quality. “How do you feel about vintage machines?” he asked me. I feel very good about vintage machines! So I went home with a 1982 Bernina 801 and it has been one of the best investments I’ve ever made for my sewing. Huzzah for second hand sewing machines! My beloved Bernina 440QE is a pre-loved machine. My quilting Mother-in-law upgraded to a 770(? i think) and GAVE me Betty for Xmas!! I adore her, she’s SO reliable!! Couldn’t agree with you more. I bought a very expensive new machine when I retired which I thought was fabulous… but after buying an old Bernina 1130 simply because I’d never had that brand and now that one get used far more often. Bernina machines of that era are unbeatable!! !